Adorable farmhouse with lots of privacy. This home sits on 4.4 acres, has three bedrooms and three full bathrooms. The living room and kitchen are an open floor plan with large ceilings. Outback there is a large deck with built in seating great for entertaining. 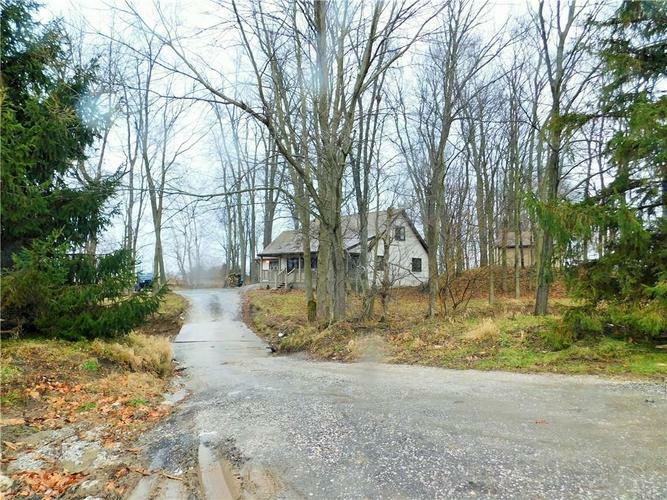 This is a great opportunity with lots of privacy! Directions:From I70 W take exit 59 toward Monrovia/Belleville. Right onto IN 39 N Left on 1000 S. Continue straight on CR 1000 S. Left on CR 350 W. Right on Tutor Rd- left on 40 west. Left to CR 1000 E. Home is on left.